KLCC Suria is an ultra modern and the most prestigious shopping centre in Malaysia. 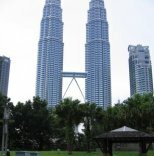 It is located at the base of Petronas Twin Towers and is serviced by most major transportation system in the city. 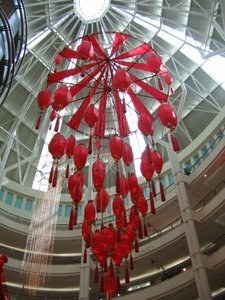 There are many festivals that are celebrated in Malaysia and this shopping complex is among the first that features a certain theme during this time of the year. 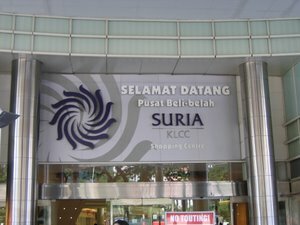 The main entrance to Suria KLCC. Decoration at the concourse area is always changing according to the time of the year. 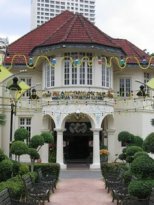 Major festivals such as Hari Raya Puasa, Chinese New Year, Deepavali and Christmas are celebrated here. There are 6 levels of retail outlets with more than 270 stores that offer goods ranging from the latest electronic gadgets in town to Malaysia's traditional crafts. As a one stop shopping centre and entertainment in the city centre, you will be able to find something to do here. If you are into fashion, the latest fashion in the market can be seen here. If you need entertainment, there is Tanjong Golden Village which screens the latest blockbuster movies in town. There are also plenty of food stalls and restaurants with a variety of international and local delicacies for you to savour. 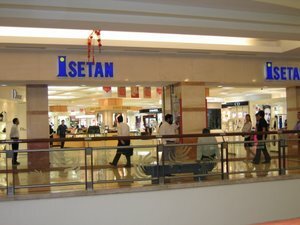 Visit some of the attractions when you are here..
Isetan, Marks & Spencer and Parkson where you can find the latest shopping clothes, bags, shoes, belts.. Some of the items are on offer at certain time of the year. Cold Storage Supermarket offers the various food and household items that you can browse and purchase. Kinokuniya and Times The Bookshop are for those who want to find the latest books in the market. Tanjong Golden Village screens the latest movie in town. After a long day's walk, it will be an ideal place to go where you can sit and enjoy the best cinema facilities in Malaysia. It has a total of 13 screens cineplex. Signature Level 2 food court and Asian Flavours Food Court offer the varieties of food for you to choose from. Petronas Petrosains Centre is located on the 4th floor where you can enjoy the Dark Ride course, Molecular Magic, Geotime Formation and Flight Simulators. 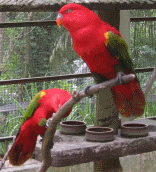 This is a must for children as it is educational in nature. Entrance tickets can be purchased at the counter. Aquaria KLCC is a 90 metre long underwater tunnel that has over 150 species of fish from all over the world. 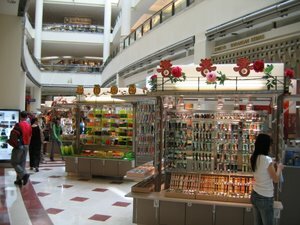 Some of the souvenir stalls at KLCC Suria concourse. 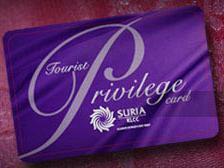 KLCC Suria has been offering a Tourist Privilege Card to all foreigners who come to do their shopping here. With more than 300 local and international fashion stores in this place, I am sure you will be able to find something that appeal to you. Holder of the card is entitled for discounts off the normal price for selected items in the stores. To apply for the card, all you have to do is present your passport at the Customer Service Desk on the Concourse Level to get your Tourist Privilege Card. You have nothing to lose but everything to gain with this discount card which is only available for foreign visitors to Malaysia. 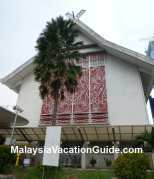 Within the vicinity of KLCC Suria are the many 5 stars hotel. Mandarin Oriental Hotel and Traders Hotel are within walking distance and are among the most popular hotels for business travelers and tourists. Kuala Lumpur convention centre is located here as well where many high profile conferences are held here throughout the year. If you need a breather after being confined in a building for some hours, try talking a stroll at KLCC park. It is a beautiful park within the city where you will find water feature, pools for childeren to play, playground, trees and benches for you to sit. Take some pictures of the city from this park. This park is full of people during the New Year countdown. Independence Day of Malaysia on August 31 is also celebrated here. The beautiful decoration at Suria. 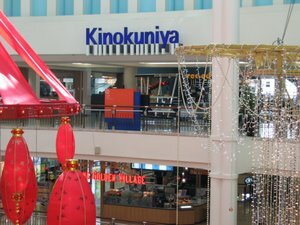 This shopping mall is opened from 10am to 10pm everyday. The best means of transport to come here is using the Putra LRT. Board the Putra LRT and stop at KLCC station. Follow the signages and you will be here in about 5 minutes. There are many customer service counters for you to enquire if you need help. They are located at Centre Court at the Concourse Level, Ampang and Ramlee Malls at the Ground Floor. You can call +603 2382 3326 for further enquiry.